Listen to most of the album here. 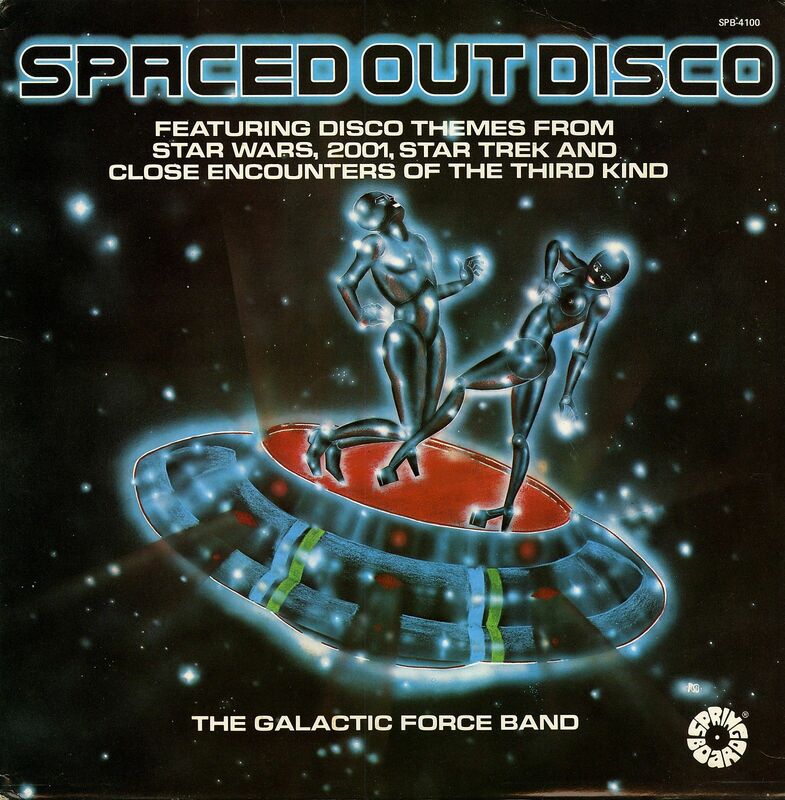 More space disco here. 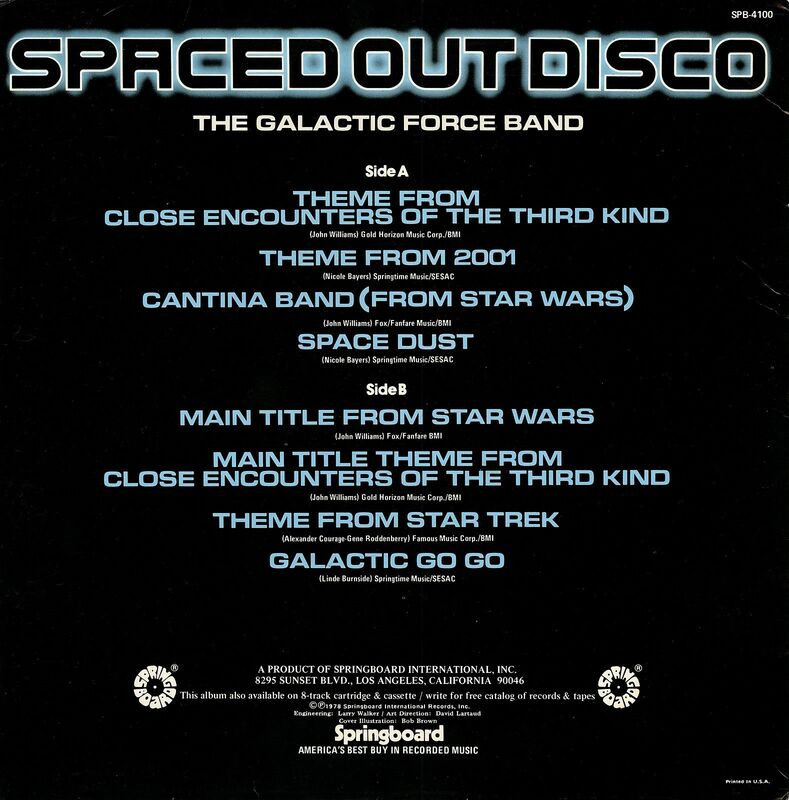 If you like this, try Cosmic Future Groove, Volumes 1 and 2. 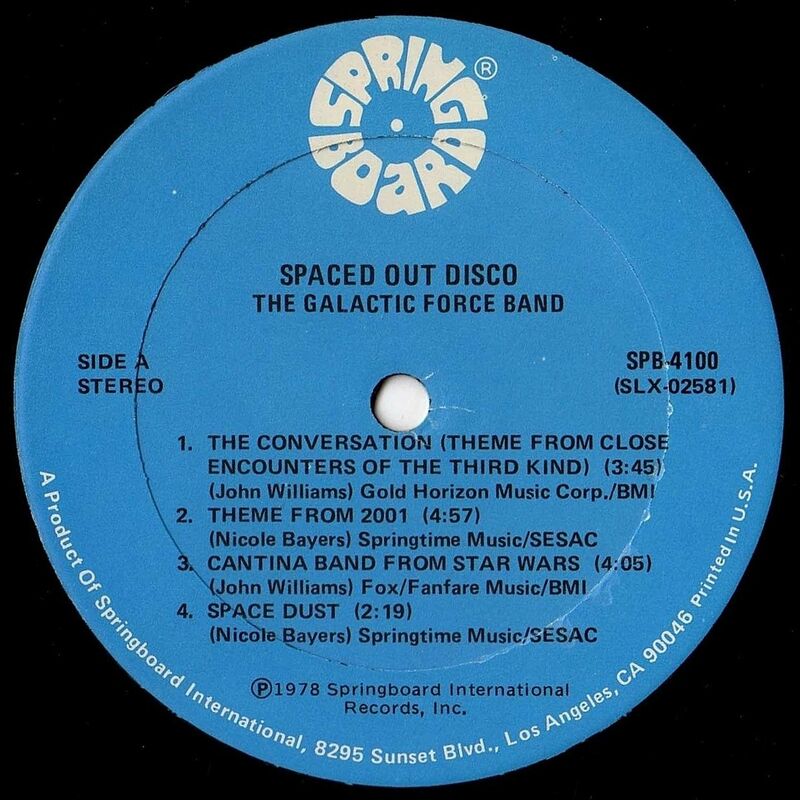 It’s an anthology covering the 70s and 80s. The second volume is on Spotify and a few tracks are on YouTube. 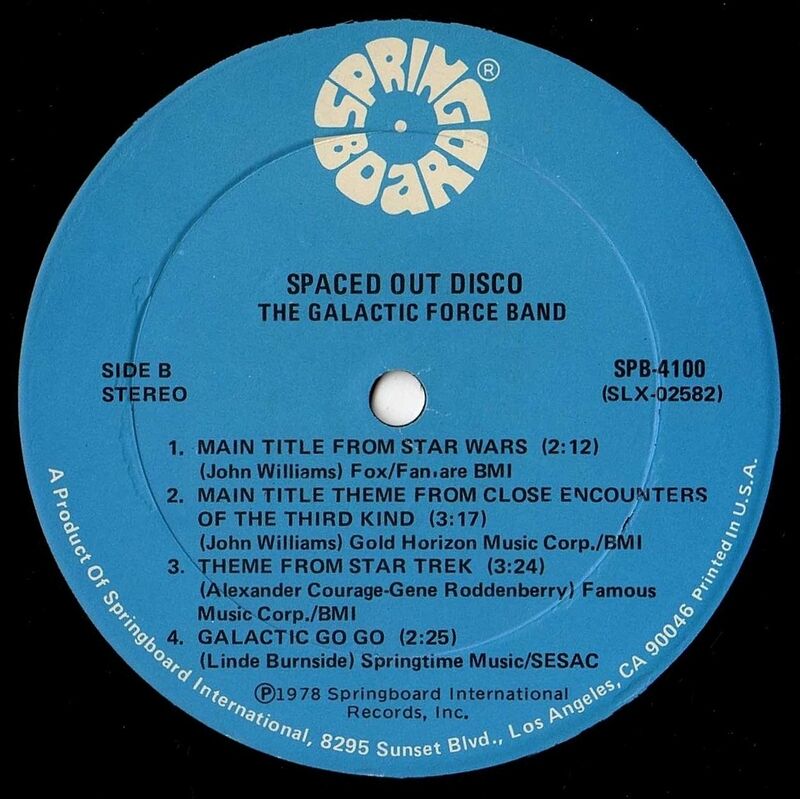 Springboard also released three LPS by the Electric Moog Orchestra (apparently some guy with a moog synthesizer in a garage somewhere), who gave us moog versions of the scores for Star Wars, Close Encounters and Battlestar Galactica. Found at Kmarts and Woolcos everywhere, these were cheaper alternatives when your mom wouldn’t spring for the original soundtrack albums.